Everything's bigger in Texas, including the celebrity homes. 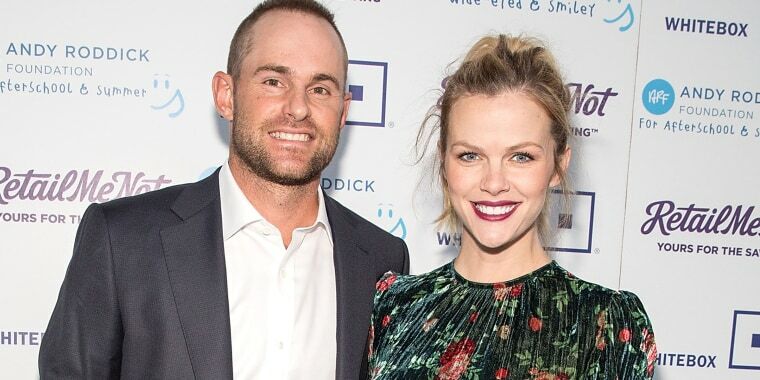 Andy Roddick and Brooklyn Decker just listed their massive 7,367-square-foot home in Austin, Texas, and it comes with a whopping 15 acres of private land. The tennis superstar and his model-actress wife lived in the home with their 2-year-old son, Hank, and 8-month-old daughter, Stevie. They renovated the space to give it a cozy farmhouse vibe with luxurious details. Inside, you’ll find rustic features like pine wood floors and wood-beamed ceilings paired with rich, contemporary accents. The gorgeous eat-in kitchen includes a large island and stone fireplace, along with industrial-style open shelving and cool blue cabinets. Decker told People last year that she splurged on the marble countertops and brass sink. And when they’re ready for a new bottle of vino, they can just grab one from the newly built wine cellar. The home has plenty of space to hang with friends and family, including the large living room which features a vaulted ceiling and French doors leading to the backyard. You can also get a great view of the outdoors from the master bedroom, which has a wall of windows and doors that look out onto the pool and trees. But the master bathroom may have the best seat in the house: a copper soaking tub situated by floor-to-ceiling windows, giving way to a gorgeous view of the secluded acreage. The master suite also includes a gigantic closet that feels chic and organized. Four other bedrooms round out the home, with one of the guest rooms featuring shiplap and barn doors. Did Joanna Gaines make a house call? Want to live in this stunning farmhouse? It’ll cost you. The couple listed the home for $5.95 million with Jonathan Creath of Kuper Sotheby's International Realty. See more pictures at realtor.com.